Andrew’s practice in civil litigation focuses on the defence of a wide variety of matters, primarily in the areas of personal injury, property damage, product liability, medical malpractice, and administrative law. He appears regularly as counsel before the Superior Court of Justice and the Workplace Safety and Insurance Appeals Tribunal. 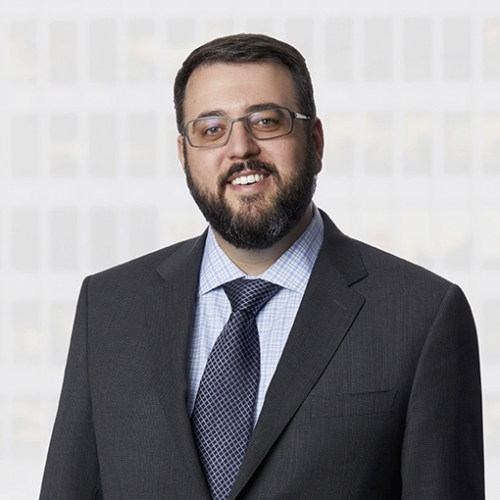 Andrew articled with the firm before returning as an associate in 2013. Prior to completing law school at the University of Toronto in 2012, Andrew obtained an Honours Bachelor of Science degree from the same institution. Feel free to get in touch with Andrew at 647.288.8778 or andrew.yolles@rogerspartners.com.